A couple years ago one of my sons gave me an amazing gift. It’s a little stack of prayer cards that he had printed and laminated. Each card has a prayer on one side and a cool artsy picture on the other side that reminds me of the majesty and awesomeness of God. Which is a great thing to remember when I’m spending time talking to Him, and listening to Him. Growing up in a conservative, evangelical church, and spending my entire adult life ministering in that same kind of church, prayer cards weren’t even on my radar. But I’m so glad I discovered them. (Or rather that my son discovered them and passed them along to me!) They’ve become a great addition to the spiritual disciplines I’ve built into my life over the years. And they remind me that God is bigger than the one little part of His Kingdom that I’ve been involved with. I pray for my kids and grandkids a lot, so it wasn’t like this card reminded me, “Oh sheesh, I need to pray for my kids and grandkids!” But it’s one more way that I can intentionally spend time lifting them up to God. And I love the things it reminds me to focus on. So here’s the prayer. 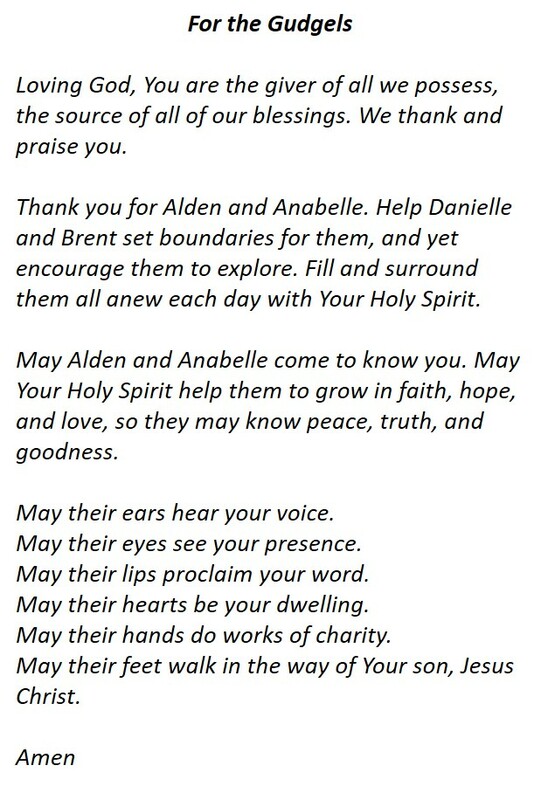 I would encourage you to take this prayer, replace the names with your own kids’ and grandkids’ names, make a little prayer card, and add it to the prayers you bring to God as you lift your family up to Him regularly and intentionally.